Alexander M. Danzer is Full Professor for Economics at KU Eichstätt-Ingolstadt, Germany. He received his undergraduate education at Humboldt-University Berlin, Charles-University Prague and the University of Munich, from where he obtained Diplomas in Social Geography (2005) and in Economics (2006). Alexander Danzer received a PhD in Economics from Royal Holloway College, University of London, UK, in 2010 and was Assistant Professor at the University of Munich (LMU) from 2011-2014. He has worked as a Consultant to the World Bank since 2008 in Russia and Central Asia where he was involved in several data collection projects. 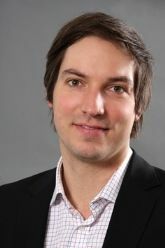 Besides CReAM, he is currently a Research Fellow of IZA Bonn and IOS Regensburg and a Research Affiliate at CESifo Munich. His main research interest is applied labour economics and development economics, with a special focus on labour supply, employee compensation as well as migration and integration. His research has been published among others in The Economic Journal, Journal of Public Economics, Demography, Journal of Economic Behavior and Organization, and Labour Economics. Alexander Danzer joined CReAM as an external fellow in June 2013.